Photo: Ivan Cobel House, ca. 1920, 727 Main Avenue, Brookings, SD. 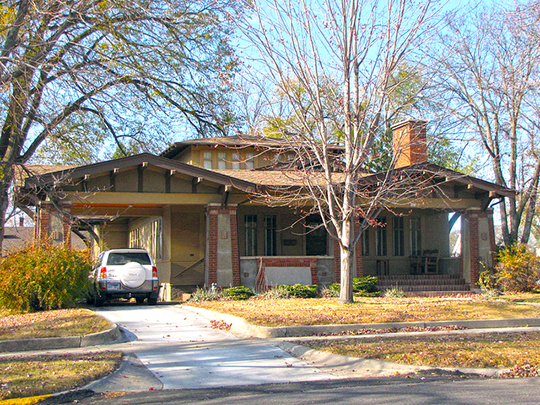 Listed on the National Register of Historic Places in 2003. Photographed by User:Jatakuck (own work), 2011, [cc-by-3.0 (creativecommons.org/licenses/by/3.0)], via Wikimedia Commons, accessed February, 2013. The Brookings County Courthouse is located at 314 6th Avenue, Brookings, SD 57006; phone: 605-688-4200. Created in 1871, the county was named for Wilmot Wood (W. W.) Brookings [1830-1905]. Brookings was the first provisional governor of the Dakota Territory.